Karalux, a company specializing in customizing and gold-plating high-end gifts & supercar in Vietnam, continue to introduce a rose gold-plated version of iPhone version 6 which is customized from a normal iPhone 6s. iFans, you needn’t wait for to own an Apple’s genuine iPhone 6s in rose gold on Sep. 25 2015; especially, those who have already owned an iPhone 6 without a chance to buy an attractive rose version on this occasion. You needn’t worry too much about that. Let Karalux help you satisfy “the thirst”. If the original iPhone 6s as well as 6s plus is only offered in rose gold, under the skillful hands of Karalux engineers your iPhone will really look more luxurious with real rose gold layer. It is a special kind of gold called “Chocolate Gold” which is often used to gild Vertu in Vietnam. If you are using the iPhone 6 and 6 plus, Karalux engineers will redesign the details in the back as the same parameters of iPhone 6s and 6s plus, which any hardly find out whether it is iPhone 6 or iPhone 6s, except checking its configuration. If you cannot buy the rose gold iPhone 6s and iPhone 6s plus on this occasion, Please contact us and Karalux will help you to turn your iPhone into an attractive one with a real rose gold-plated layer, not only rose color layer. “The processes and procedures to rose gold-plate iPhone are not different from gold-plating 18K or 24K gold. However, the cost and prices are a bit higher as more expensive raw material,” said Quang Tu – chief engineer performing gold-plating. 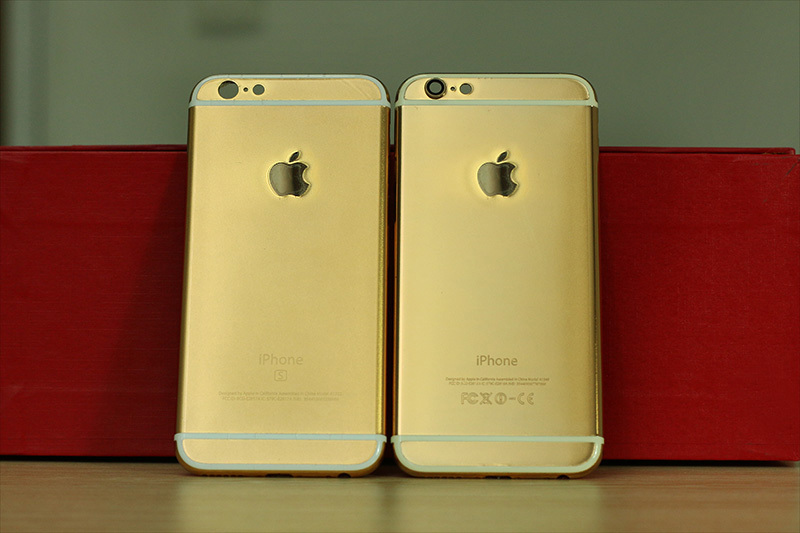 The 24K gold-plating and rose gold-plating for iPhone 6s costs VND 9 million, and VND 12 million respectively. The price is for local customers in ​​Vietnam. It is VND 1-3 million higher for oversea customers as the payment fee and shipping costs. It takes about 3-4 continuously working hours to compete a rose gold-plated iphone 6 or an iPhone 6s. To protect the gold layer, after plating, Karalux engineers will coat a special layer – a nano layer which is also applied to Rolls-Royce supercar in Vietnam.